Today's modern anesthetic monitors have made surgery much safer than in the past. Here at Hilliard veterinary hospital, we do a thorough physical exam on your pet before administering anesthetics, to ensure that a fever or other illness won't be a problem. We also adjust the amount and type of anesthetic used depending on the health and age of your pet. Pre-anesthetic blood testing is important in reducing the risk of anesthesia. 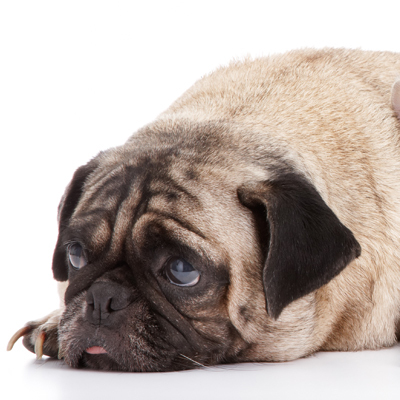 We recommend every pet have bloodwork before surgery to ensure that the liver and kidneys can handle the anesthetic. Even apparently healthy animals can have serious organ system problems that cannot be detected without bloodwork. If there is a problem, it is much better to find it before it causes anesthetic or surgical complications. Animals that have minor dysfunction will handle the anesthetic better if they receive IV fluids during surgery. If serious problems are detected, surgery can be postponed until the problem is corrected. We offer multiple kinds of blood work before surgery, which we will go over with you when you bring your pet in. Our doctors prefer the more comprehensive screen, because it gives them the most information to ensure the safety of your pet. For geriatric or ill pets, additional blood tests, electrocardiograms, or x-rays may be required before surgery as well. When you bring your pet in for surgery, we will need to 5 to 10 minutes of time to fill out paperwork and make decisions on the blood work and other options available. When you pick up your pet after surgery you can also plan to spend about 10 minutes to go over your pet's home care needs.